To be used in conjunction with the Elipse half mask (42614) offering an alternative option to the standard P3 filter. 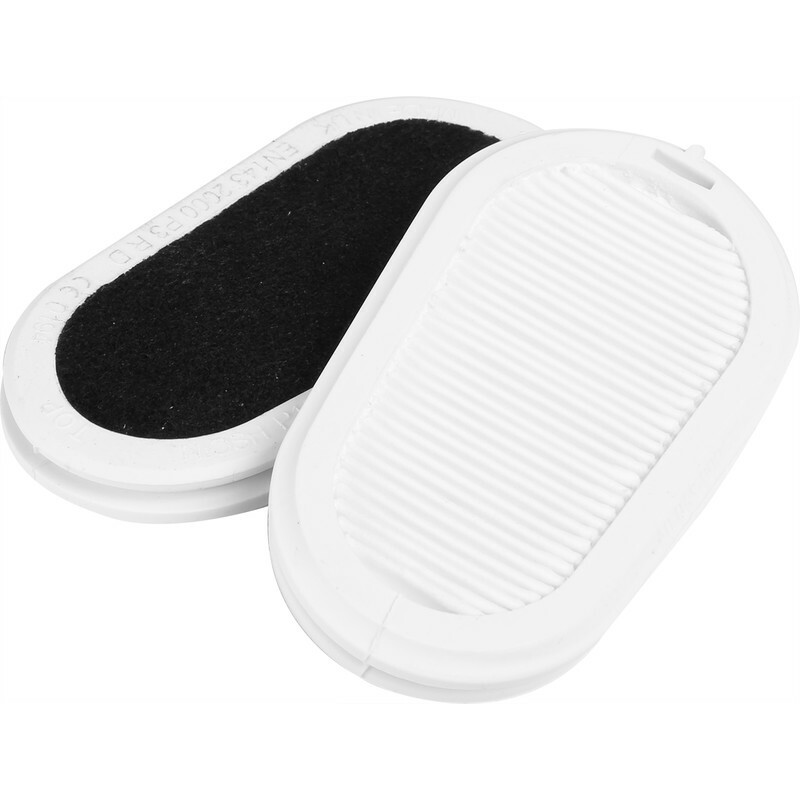 The nuisance odour (R) HESPA filter contains carbons to eliminate low level nuisance odour. Provides protection against dust particles, metal fumes (smoke), asbestos, oil & water mists, vapours, bacteria & viruses. GVS P3R Half Mask Respirator Welding Filters (2 Pack) is rated 4.6 out of 5 by 56. Rated 5 out of 5 by fleshtubes from bikes dont steam up just the job when cutting paving slabs no misting of glasses, can see what I'm cutting, and not cleaning 300cwt of debis from nose when finished. Rated 5 out of 5 by Mally59 from Really good product Bought this mask a week ago to sand down room ready for painting which created a lot of dust. Mask was covered in dust on the outside. Mask sealed tight to face using adjustable bands.took off mask after use and inside of mask was completely clear from dust. No dust around nose as you get from cheaper masks. Well worth the money. Rated 5 out of 5 by CJJP from Great buy Over the years I have always bought the cheap masks. They DO NOT filter properly and as I wear glasses for close work they just mist up, or you have to set them up on the end of the mask where they fall off and you can’t see anyway! So it’s either you work without a mask or the glasses. This time I decided to spend more after reading the other reviews and am not sorry. This mask is brilliant. NO FOGGING of the glasses and a proper seal around the nose and mouth, breathing is easy and comfortable. Can get a little sweaty because of the very good seal but this mask works. Get one! Rated 4 out of 5 by softsod from Limited use. Undoubtably capable of excellent filtration, but difficult to use if exerting yourself whilst wearing this mask. Rated 5 out of 5 by Mad cat wonan from Just the job Brilliant product, does exactly what is supposed to do and at a fantastic price. Rated 5 out of 5 by BeardedLoftHobbit from Drop everything and buy this NOW! Seriously, stop procrastinating and spend a few quid on this mask; you will not be disappointed. FYI, Toolstation only sell this in the common M/L size, which will suit most. However, if you / your face are on the smaller side of typical, the manufacturer does also produce this mask in S/M...though you will have to scour the Internet to find a seller.